Stone Sour's upcoming tour dates, premiere "St. Marie"
﻿Published by Sareth Ney on April 7, 2018 at 7:20 p.m. Updated on May 1, 2018 at 1:22 a..m.
JACKSONVILLE, Fla. – Stone Sour will be headlining a spring tour, direct support on a fall expedition and premiered their music video for “St. Marie”. On their spring trek—they will be joined by The Bronx, Palaye Royale and ’68. In the fall, they are supporting Ozzy Osbourne. Their album, “Hydrograd Acoustic Sessions”, is available. The Bronx, Palaye Royale and ’68 will be joining Stone Sour. 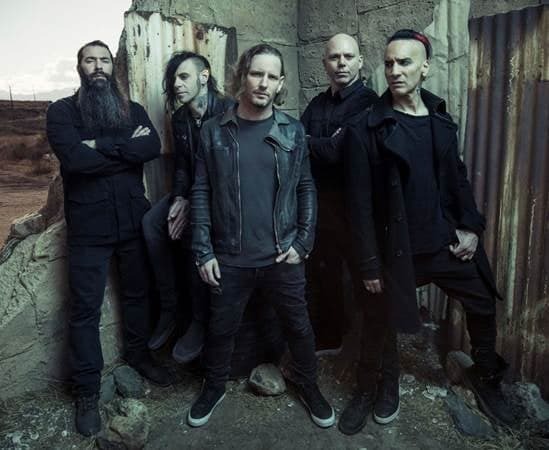 Stone Sour will be also be performing on select festivals including: Welcome To Rockville, Fort Rock, Carolina Rebellion, Lunatic Luau and Rock on the Range. They will be part of Ozzy Osbourne’s “No More Tours 2” and tickets to attend are on sale. In 2002, Stone Sour made their debut with a self-titled. It earned a Recording Industry Association of America (RIAA) gold certification and a GRAMMY® nomination. Singles included “Get Inside” and “Inhale”. Four years later, “Come What(Ever) May was released. It debuted in the Top 5 charts on Soundscan/Billboard 200 and number one on Billboard’s Rock Albums charts. “30/30-150” was nominated for a GRAMMY® and awarded a gold certification by RIAA. Singles included: “Through Glass”, “Sillyworld”, “Made of Scars”. “Through Glass” spent seven weeks on top of the Billboard’s “Hot Mainstream Rock Tracks”, number two on “Alternative Songs” and the top 40 overall “Hot 100”. The video reached over 49 million views on YouTube. “House of Gold & Bones – Part 1” and “House of Gold & Bones – Part 2” followed. They debuted in the Top 10 on Soundscan/Billboard 200, after being released six months apart. It was Stone Sour’s third and fourth consecutive Top 10 chart entries. Radio hits consisted of “Absolute Zero”, “Do Me A Favor” and “Tired”. “Tired” reached #1 on the mainstream rock outlets throughout the country. For 2015, “Straight Outta Burbank” featured five songs. “Hydrograd” debuted at number one, in 2017. “Rose Red Violent Blue (This Song Is Dumb & So Am I)” and “Song #3” were notable tunes. Corey Taylor is the vocalist, Josh Rand is the guitarist, Roy Mayorga is the drummer, Johnny Chow is the bassist, and Christian Martucci is the guitarist of Stone Sour. May 8 – The Signal, Chattanooga, Tenn.
Aug. 30 – PPL Center, Allentown, Pa.
Sept. 1 – Lakeview Amphitheater, Syracuse, N.Y.
Sept. 8 – Jones Beach, Wantagh, N.Y.
Sept. 10 – PNC Bank Arts, Homdel, N.J.
Sept. 12 – BB&T Pavilion, Camden, N.J.
Sept. 30 – Isleta Amphithteatre, Albuquerque, N.M.
Oct. 6 – Shoreline Amphitheatre, Mountain View, Calif.